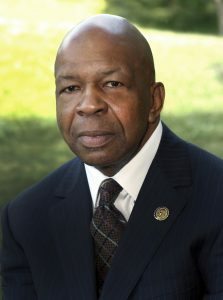 Morgan State University (MSU) President David Wilson announced today that Congressman Elijah E. Cummings will be the keynote speaker for the University’s 143rd Spring Commencement ceremony, on May 18, 2019 at Hughes Memorial Stadium. 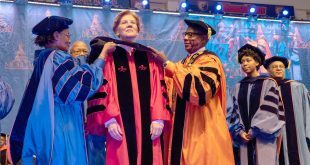 Cummings, a member of Morgan’s Board of Regents, will deliver his address before a diverse graduating class of nearly 800 undergraduate students. Morgan alumnus and journalist William C. Rhoden will also be in attendance to receive an honorary doctorate during the exercises. The occasion marks the second time that Congressman Cummings will address a group of graduating Morgan students. He also served as Morgan’s commencement speaker in 2006 and was presented with an honorary Doctor of Laws. A native son and current resident of Baltimore, Congressman Elijah E. Cummings proudly represents Maryland’s Seventh Congressional District in the U.S. House of Representatives. Since beginning his career of public service in the Maryland House of Delegates, where he served for 14 years and became the first African American in Maryland’s history to be named speaker pro tem, Congressman Cummings has remained committed to uplifting and empowering his constituency. Congressman Cummings is chair of the House Committee on Oversight and Reform. As the main investigative arm for the House of Representatives, the committee has jurisdiction to closely examine any federal program and any matter with federal policy implications. 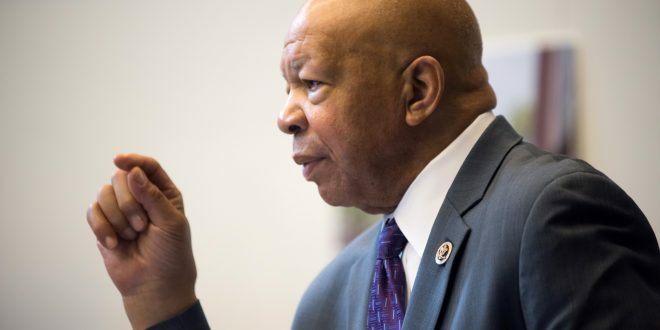 In addition to Oversight and Reform, Congressman Cummings is also a senior member of the House Committee on Transportation and Infrastructure, serving on both the Subcommittee on Coast Guard and Maritime Transportation and the Subcommittee on Railroads, Pipelines, and Hazardous Materials. In keeping with his commitment to championing the progress of our next generation and widening their access to opportunity, Congressman Cummings is active on numerous boards and commissions dedicated to youth, including the Morgan State University Board of Regents and the SEED School of Maryland Board of Directors, and he is an honorary board member of KIPP Baltimore Schools and the Baltimore School for the Arts. The lone honorary degree conferred during Morgan’s Spring Commencement Exercises will be bestowed on accomplished sports writer and journalist William C. Rhoden, MSU Class of 1973. Rhoden, who grew up during the civil rights movement, took great pride in his African-American heritage, which fostered his growing political consciousness about racism and his expanding belief in the importance of black institutions. 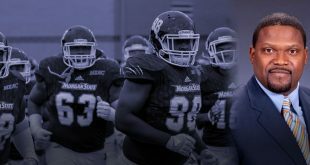 It was this awareness that led him to Morgan when his athletic talents may have provided him opportunities at a predominantly white university. After receiving his bachelor’s degree, Rhoden worked for the Baltimore Afro-American, serving as the newspaper’s sports editor, followed by several years writing at The Baltimore Sun and as a columnist at Ebony Magazine. However, Rhoden cemented his career as a sports writer while penning the widely popular column “Sports of The Times” for The New York Times, from which he retired in 2016. In 2006, he published his first book, “Forty Million Dollar Slaves: The Rise, Fall, and Redemption of the Black Athlete,” an analysis of prejudice and intolerance in American professional sports. He was inducted into the National Association of Black Journalists (NABJ) Hall of Fame in 2018. Rhoden is now a writer and editor-at-large for ESPN’s The Undefeated. In addition to his work at The Undefeated, Rhoden is giving back to his community by assisting the next generation of journalists as the head of a fellowship program named in his honor. Established in 2017 and sponsored by ESPN, the Rhoden Fellowship is a two-year program that identifies and trains aspiring African-American journalists from Historically Black Colleges and Universities, providing these students with a unique opportunity to report news stories on their campuses through the production of multimedia content. Morgan’s Spring Commencement ceremony will be held on Saturday, May 18, 2019, beginning at 10 a.m., at Hughes Memorial Stadium on the University’s campus.